I’m thrilled to be the first person, um, I mean character, to appear in the new year from the Zodiac Mysteries. Maybe you remember me from The Madness of Mercury? 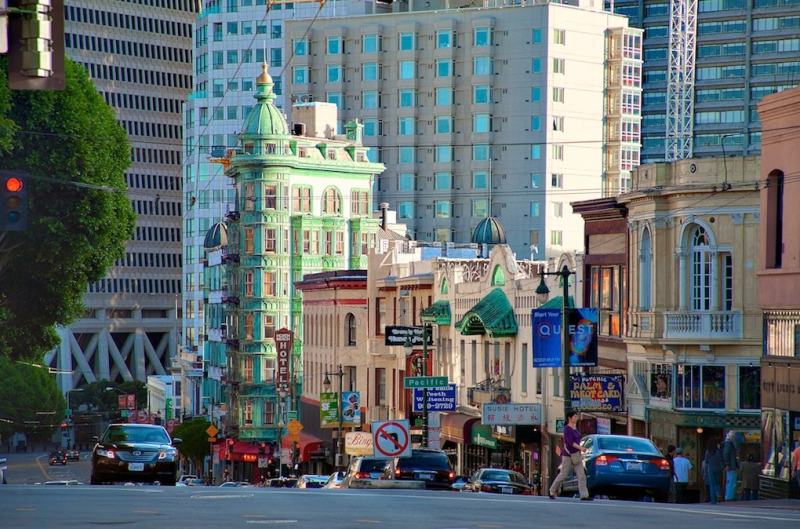 I’m Gale Hymson and I’m the owner of The Mystic Eye in North Beach. I’ve always wanted to start my own business, I guess I’m just an entrepreneurial sort of woman, and I was positive an occult bookstore and shop would be a big hit in San Francisco. And was I right! The Mystic Eye is the best occult shop in Northern California, maybe even in the entire west. Oh, I know there are others, but certainly not in San Francisco. We have everything! Books on every occult subject and religion you can imagine, gargoyles and masks to decorate your home, handmade jewelry by local artists, Tarot cards, incense, herbs for magical purposes, candle-burning supplies, you name it. You can spend hours perusing our goodies at the Eye. And readers! Do we have readers! 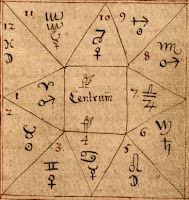 Past life, Tarot, psychics galore and last, but not least, astrologers, including my dear friend Julia Bonatti. Of course, she’s rather famous now and has a very busy schedule, but she still turns up to help out at our psychic fairs. And if it weren’t for Julia, the Eye could have very well closed down when those dreadful people from the Army of the Prophet started picketing our shop. It became such a nuisance. I had to call my lawyer to see what I could do about getting a restraining order. And it wasn’t just me, it was virtually every practitioner of the occult arts in and around the city who was being harrassed and threatened. It was thanks to Julia that a very evil man – the Reverend Roy of the Prophet’s Tabernacle – was finally put out of business – him and all his crazy followers. So there’s nothing to fear any longer. You can stop in and browse to your heart’s content. I certainly hope you do and don’t forget to sign up for our newsletters, so you won’t miss any of our exciting events at the Eye. 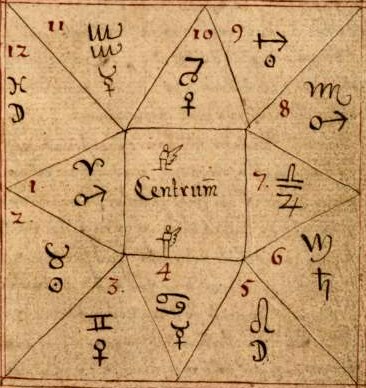 You can find me in every Zodiac Mystery. I try to stay in the background, but my shop is ground zero for lots of stories. The next one will be out in August 2017. 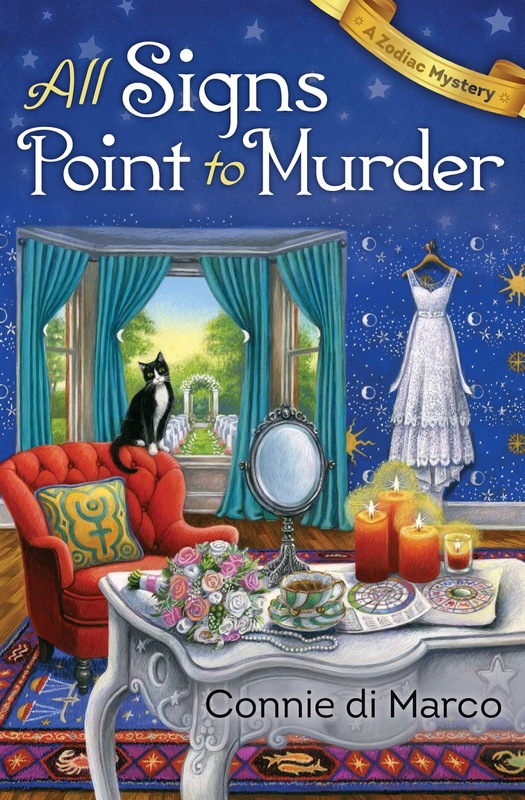 All Signs Point to Murder is available now, and my friend Julia is at it again, solving crimes and putting murderers out of business with her astrological skills. And don't forget to visit our author, Connie di Marco, at her website, at Facebook and Twitter @askzodia to learn more about the Zodiac Mysteries. I can't wait to read All Signs Point To Murder! Hi Karen - I really hope you enjoy it. Julia has some exciting adventures in the next book! Hi Tonya - Thank you and all the best to you in 2017 too! 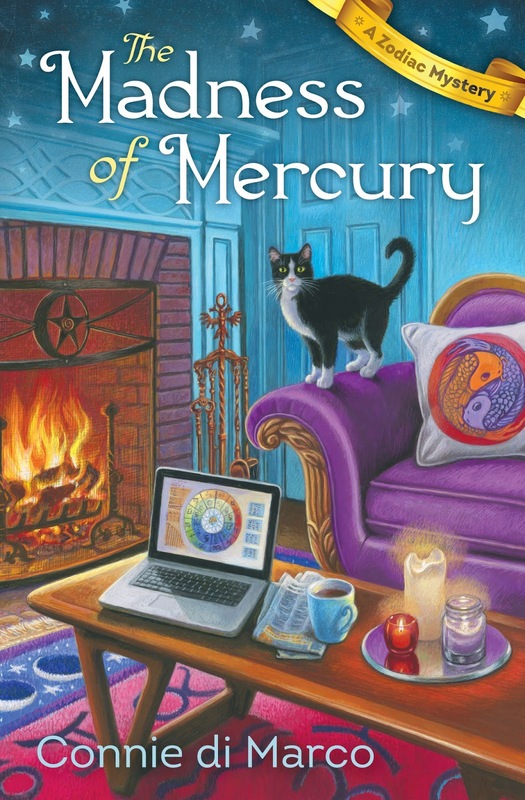 I've read and loved The Madness of Mercury and have already put the new release date into my New Titles Release List. This way I can share it with my blog followers and post the release a month early so they can get it. Oh, that's wonderful, Nora Adrienne! Thank you! And thanks for visiting today. Happy New Year! Characters are real people, right? ;-) Hi, Connie. Looking forward to the next book and more time with Julia and Gale and the rest of the gang. Pre-order set. Best for the New Year! Oops I hit the wrong spot again. Sorry! See below, Sally. Have a great day! You too, Sally, have a terrific 2017! Thanks so much for pre-ordering! August feels like such a long way off, but I know it will sneak up on me! This is one of the best new series I've read in a long time! That's wonderful to hear! Thanks so much Barb! I wanted Julia to have some really exciting adventures. I hope you enjoy All Signs Point to Murder too! I'm in the middle of The Madness or Mercury and I'm loving it. I'm thrilled to see there's another book out. Time to contact the library and ask them to order it. Oh, thank you, Laura! I'm so glad to hear you're enjoying the first in the Zodiac Mysteries! Happy reading!